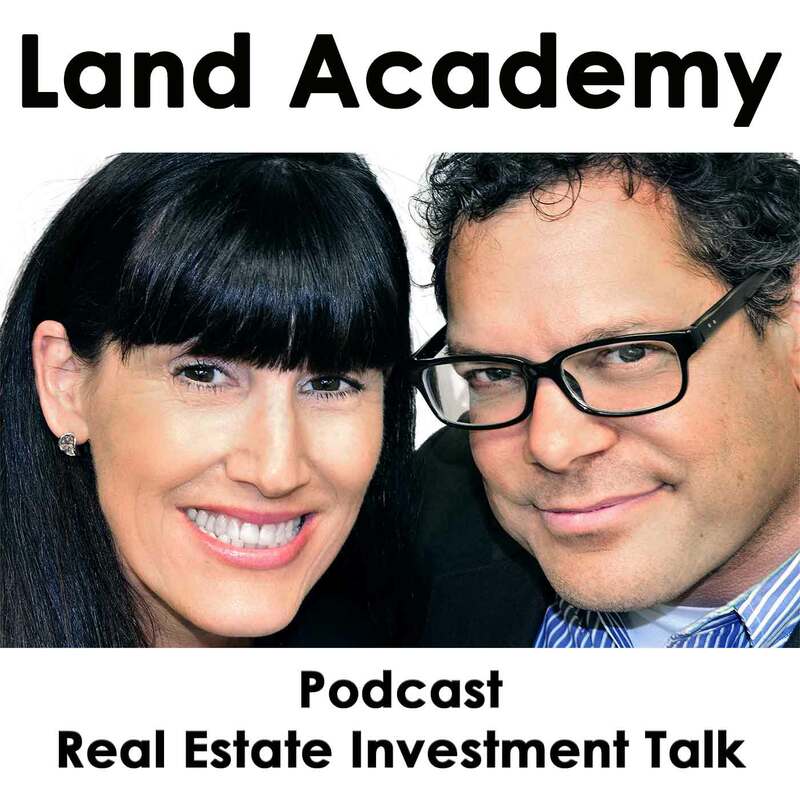 New Land Investor Topics Live Tonight. There are many new topics to discuss. Jill DeWit: [crosstalk 00:00:05]. Sorry. 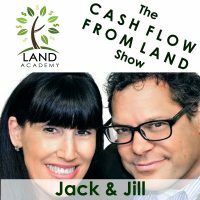 Jack Butala: In this episode, Jill and I talk about our land investor topics for our live meetup tonight in Los Angeles, South Bay, really, of Los Angeles. Jill DeWit: Exactly. I have something funny about South Bay I’ll say in a minute, too. Jack Butala: Before we get into it, though, let’s take a question from one of our callers. 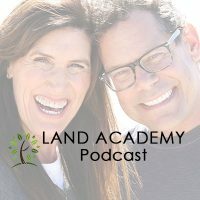 Jack Butala: On the LandAcademy.com community. Jack Butala: This is a great question and it’s actually a bigger picture. Actually, I sat down and wrote half of a blog on this exact topic. Jill DeWit: Did you? Good. Jack Butala: Called, “How to Pick a County.” There’s a simple three-step process that we use to pick a county from a demographic standpoint, like where we really think this will logically work. But what you also have to take into consideration is the quality of the data that you’re pulling and how much information you might have about once somebody does sign your offer and send it back, you know, can you actually do the research? There’s a few more semi-advanced ways to look at these counties to make sure that you can actually pull off doing a real estate deal. Let me give you a couple of examples. In east Texas and west Texas and some parts of northern, let’s say, New Mexico, and there’s several other counties in northern Michigan for some reason, they just don’t participate in the RealQuest Pro program and they don’t, let’s say, have … There’s some counties in Arizona, you know, it’s hit or miss all over the country, really. There’s no rhyme or reason, east or west, north or south. They just don’t participate in it or they don’t have a GIS site. It’s not a high priority. Once you get a little further into this, you know, no one wants to get stumped. I’ve never heard of anyone sending a mailer out and getting completely and totally stumped and not buying one property if you do it right. But you want to look into these things. Does the county have a GIS site? Do they have working hours that … Do they work more than one day a week? Some counties, they’re so small that everybody’s got another job. They only work one day a week. It’s hard to get stuff recorded. Jack Butala: If it is, I’d love to know about it. I’ve never run into it. Then I would maybe consider moving on to a different county, but in the end it’s going to be okay. Jill DeWit: It’s so interesting to me because I asked this question, I’m like, “What do you guys do for those counties that are so darn rural that they don’t even have a computer system?” They say, “You know what? We actually have extractors that really go out there and sit with their laptop and flip pages. They actually get the recorded and they’re flipping the book and they’re flipping the pages and they’re manually adding it in.” That really does happen. It’s stuff you can’t get. Jack Butala: Some counties fax in, literally, fax in to RealQuest in … Are they in Irvine? Where’s RealQuest? Jill DeWit: Oh, CoreLogic? Yes, they’re over in Irvine. Jack Butala: They fax the tax rolls in like it’s 1979. Jack Butala: Yeah, what did they say? Jill DeWit: Oh my gosh. It was the funniest thing. It was an insurance person and like, “Do you have a fax?” I’m like, “Do you have a fax?” You know? It was hilarious. Are we really talking about a fax? Jill DeWit: So, anyway. It is funny. Jack Butala: It’s hilarious. 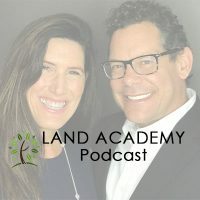 If you have a question or you want to be on the show, reach out to either one of us on LandAcademy.com. Today’s topic, and this is the meat of the show, new land investor topics for our meetup tonight. Jack Butala: I’m a little nervous. I’ve got to be honest. Jill DeWit: Oh, you are not. Jill DeWit: Are you? Why are you nervous? How are you nervous? Jack Butala: No. Not really. Jack Butala: Have you ever spoken to a stadium full of people live? Jill DeWit: Let me think. Not a stadium. Jack Butala: I haven’t either. Jill DeWit: I’m trying to think what’s the biggest group I’ve been in front of? There’s been, over the years, there’s high school stuff. Jack Butala: Yeah, a couple thousand people [crosstalk 00:05:11]. Jack Butala: Oh yeah, yeah, the college class. Jill DeWit: … the college class and so … But you know what I find? As long as you talk about what you really know, then it all comes easy. If you find yourself in front of a group and you’re winging it and you’re kind of guessing, oh, you will fail, I think. You shouldn’t be up there talking about something, by the way, that you really don’t know inside and out. Jack Butala: If I did a course or a seminar on how to lose money, I wouldn’t know what I was talking about. Jill DeWit: If I did a course or a seminar on how not to get a second date, I wouldn’t know what I’m talking about. Just kidding. Jack Butala: Or if you did a course or a seminar on how to not look good, that wouldn’t work. Jill DeWit: Aw, thank you very much. I appreciate that. Jack Butala: You’re welcome. If I did a course or a seminar on how to raise kids, that wouldn’t work at all. Jack Butala: Oh, my God. You’re right. Jill DeWit: … or an ATV, I wouldn’t know what I’m talking about. Jack Butala: If you did a course on how to fly a plane, you could do it. Jill DeWit: I could do that. Jill DeWit: That’s true. This is a fun game. All right. Back to our show. Jack Butala: Oh, yeah. What’s the show about? Jill DeWit: Yeah, the show. Jack Butala: What are the topics tonight? Jill DeWit: Here are the topics that we’re talking about. Jack Butala: More importantly, what do I have to speak about? Because I honestly don’t know. Jill DeWit: I’m glad you asked. I will tell you. Here’s what we’re talking about tonight. You’ll know now before you see it on the PowerPoint presentation behind you. Jack Butala: Okay. That’s good. Jill DeWit: That’s always helpful. All right. 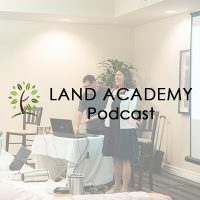 The topics are, one, the four traits that you and I … Now we are going on … We’re two years into LandAcademy and well over two years of teaching this to people. Over these many, many years we have identified the top traits on what people have to be successful to do this. Jack Butala: Oh, yeah. That’s good. Jill DeWit: That’s one of the things we’re going to talk about. And you don’t have to have all four. If you have one, preferably one or two, it’s kind of like the four A’s. Jack Butala: Three would be good. Jill DeWit: You need to have a few of these, too. We’re going to talk about that. Jack Butala: One of them is not money. One of them is not have a ton of money. Jill DeWit: One of them is not? Well, you do need to have some funds. Jack Butala: Yeah, but we’ll get into it tonight. Jill DeWit: Okay, exactly. Yeah, you don’t want to come in with nothing and you don’t want to come in saying, “I’m just going to max out my credit cards.” That’s not what you want to do. Jill DeWit: You’re not going to be taking out mortgages. That’s not what you’re going to do. But we’ll talk about that. We’re also going to cover the tools, which is really your expertise. Jack Butala: That’s the key to this. Jill DeWit: The few key tools that you have to have as a land investor, or any kind of investor, to be successful and to source the deals. We’re going to talk about … You want to elaborate on that for a second or do you want me to keep going? Jack Butala: … you need RealQuest. Jill DeWit: You’ve got to have the best. Don’t buy a list. Jack Butala: And you need some instruction on how to use it. Jill DeWit: Yeah, you can’t do that. Jack Butala: We’re going to talk about that in detail. Jack Butala: We’re going to make this easy for yourself, not hard. Jill DeWit: That’s the whole point. Isn’t that funny? You know what I think happens? Sidebar. You know how there’s people that walk around that say, “I spent 80 hours on that and … ” Like they’re going to get a medal for it. That’s not how we roll. Jack Butala: Yeah, they’re probably from the Midwest. Jack Butala: Because there’s an unwritten contest. Because I’m from Michigan, I can say this stuff. Jill DeWit: Right, uphill both ways. Jack Butala: Congratulations. You suffered the most. Jill DeWit: Right. That’s not what this is about. Jack Butala: Just move to California and have fun and turn deals, if you want. Jill DeWit: It’s like [inaudible 00:09:28]. Jack Butala: Good. Stay in Michigan, then. Jill DeWit: We went into a really slow, methodical … kind of like the guy on Monday’s show this week, Kyler Dawson, covered. There’s times Kyler did two to three hours a week. There’s times he did no time at all a week, and he was successful. We’re going to go into our little 45-day outline of start to finish buying, sourcing, finding, buying, recording, advertising, posting, selling it, all the way to completion, a deal. We’re going to cover that. Jack Butala: 45 days is if you really take your time and if you have a job. Jack Butala: Hey, by the way, she’s talking about Kyler Dawson, who’s a member of ours. He was nice enough to grant us an interview on Monday. Jack Butala: It aired on Monday. It’s an audio-only podcast, because by definition, that’s what a podcast is. Jack Butala: We’re breaking the rules, here. You’ve got to catch it. If you haven’t listened to it go back. It’s really worth listening to. It’s actually amazing. It’s just amazing. Jill DeWit: It’s so fun. Jack Butala: I’m so proud of him. Jill DeWit: You know what I love, too? Jack Butala: Kyler, you rock, by the way. Jack Butala: We didn’t pay him. Jill DeWit: … no paying. Jack Butala: It sounds like we paid him. Jack Butala: That’s how positive he was. Jack Butala: I was looking for something wrong. Jack Butala: There’s actually some content tonight. Jill DeWit: There really is. Some things that we’ve seen people slip up on and how we’ve helped them and things we’ve identified so we can save more people from making those same mistakes. The last thing is going to be Q and A. I think that’s everybody’s favorite. Jill DeWit: It’s kind of like our member call but in person. Jack Butala: Can we ice out about eight minutes where I talk about the people that I had to kick out of the group so far? Jill DeWit: Oh, right now? Jill DeWit: It’s going to be a positive event. Jack Butala: I always try to just trip you up, Jill. Jack Butala: You always have to be so positive. What the heck? Jill DeWit: No, it’s a positive event. Jack Butala: We’ve got to talk about some bad stuff. It’s not all peaches and cream. Jack Butala: The potential stuff. Okay, so it just works itself out that way. Jack Butala: All right. Fair enough. Jill DeWit: I’m not going to sugarcoat anything tonight. I want to be like we always do. We’re going to be honest. Jack Butala: Yeah. It’s just us. Jill DeWit: Good, bad, or otherwise, we’re going to tell you the truth. Jill DeWit: You know what? People ask us all the time about times that we’ve failed, like when the market took a big turn in 2008, 2009, 2010, and how we recovered. We talk about it. We talk about, “Yeah, we screwed up.” Which is true. We did some things that weren’t right and we figured it and now we’re saving everybody else. Jack Butala: If we have time tonight, I’m going to spend five … I’m going to spend the time that a TED Talk takes, which I think, is what? Jack Butala: Right. How long is this whole thing tonight? Jill DeWit: Oh, it’s technically 90 minutes. 6:30 to 7 is kind of a sign in and get settled. You and I talk from 7 to 8 and then 8 to 8:30 is Q and A.
Jill DeWit: And then 9:00 is beer time. 9:00 is cocktail hour. Jack Butala: We’re going to have cocktails? Jill DeWit: I don’t know. We’ll see. Jack Butala: Yeah, we are. Jill DeWit: It depends on the group. We’ll see. Jill DeWit: Well, you and I will be having cocktails. I don’t know if we’ll invite anybody. Jack Butala: In a very animated and fun way, if we have time tonight and if it’s appropriate, I’m going to tell my story from start to finish. Jack Butala: I’m going to tell my story from sitting at a coffee table in 1999, turning that first deal. I’m from Pennsylvania, turning the first deal in Arizona, and then til, let’s say, today or tomorrow. Jill DeWit: How much time do you need? Jack Butala: Which is the silliest thing I’ve ever heard. Jack Butala: In fact, now more than ever, if you know a little bit about computers, it’s better and easier and way more profitable. Maybe that specific $100 an acre model may or may not … Well, I mean, it hasn’t waned for us. Jack Butala: Maybe that model has changed a little bit, but it’s not any different. Jack Butala: I’ll tell you what, there’s never been, never been more opportunity for a bunch of reasons, most of them are because of the tools we provide and the amount of data that we can collect in one spot. There’s never been more opportunity for taking [inaudible 00:15:15] lots or larger, equity-type deals, more expensive deals, buying them for 20 or 30 or 40 percent of what they’re worth, and selling them for way more. You want to talk about your 45-day thing? I mean, do one of those deals and make $100,000. Jill DeWit: I know. That’s what I’m talking about. Jack Butala: I wouldn’t recommend it as your first deal, but we’ll talk about that tonight. Jill DeWit: That was me exhaling, that big sigh before Jack went into that ten-minute rant. Jack Butala: Was it that long? Jack Butala: Oh, I’m sorry. Jack Butala: That I’m going to go tonight? Jack Butala: Oh, my gosh. Night and day. Jill DeWit: … the stuff that we’re bringing to the table with JillLive.com and your Parcel Fact and County Wise and these great sites and things that we’ve got coming up. I mean, we didn’t even have that two years ago and I’m so excited. I know it’s even going to get better. Jack Butala: County Wise, Parcel Fact, JillLive, Land Crowdfund. All those dotcoms, they’re rapidly being developed. I’m putting my RIT staff … Hey, IT staff, if you guys watch this, I’m sorry. They worked all through the weekend this weekend. I’m calling it … I’m Steve Jobs-ing this thing, because … I’m probably not the most pleasant person to be around, but we’ve got to get these products out. Jack Butala: And like you said, they just rock. It’s the stuff that we use. Jack Butala: We’re just dressing it up and cleaning it up so that you don’t have to go through it like an aerospace engineer. Jill DeWit: Yeah. Let me wrap it up with this. If you’re driving around right now and you’re listening to this and you find your car all of a sudden detouring and heading to Hermosa Beach, come on in. We’ll figure it out. If we have to do a standing room only, we’ll figure it out. Jack Butala: Oh, yeah, yeah. Exactly. Jill DeWit: We’d love to have you. Jill DeWit: It’s totally free. Thank you. Jill DeWit: We use it every day to get property for half of what it’s worth and sell it immediately. Jill DeWit: It’ll be fun tonight. Jack Butala: Yeah. I can’t wait. Jack Butala: I can’t believe you made me wear this scarf. Jill DeWit: I know. I thought it would be cute because we’re doing some video stuff here, so I’m changing it up a little bit. Jack Butala: No, it’s not cute at all. Jill DeWit: You look a little like Snoopy and I like it. Jack Butala: Mm-hmm (affirmative). I look like a girl. Jill DeWit: You do not. You’re like a hippy, here. I’m adjusting your scarf to make it cute. It’s all good. You look handsome. Jack Butala: Thank you. Information and inspiration to buy undervalued property.